It looks like we have our inaugural person for our new 'Apology Alert' feature on the website. 'Apology Alert' is a feature on The Savvy Sista website that will feature public figures who make ill advised remarks that they later have to issue a half hearted apology. Our first person is Richard Land of the Southern Baptist Convention. NASHVILLE, Tennessee (AP) -- The head of the Southern Baptist Convention's public policy arm condemns the response of many black leaders to the Trayvon Martin case as "shameful." 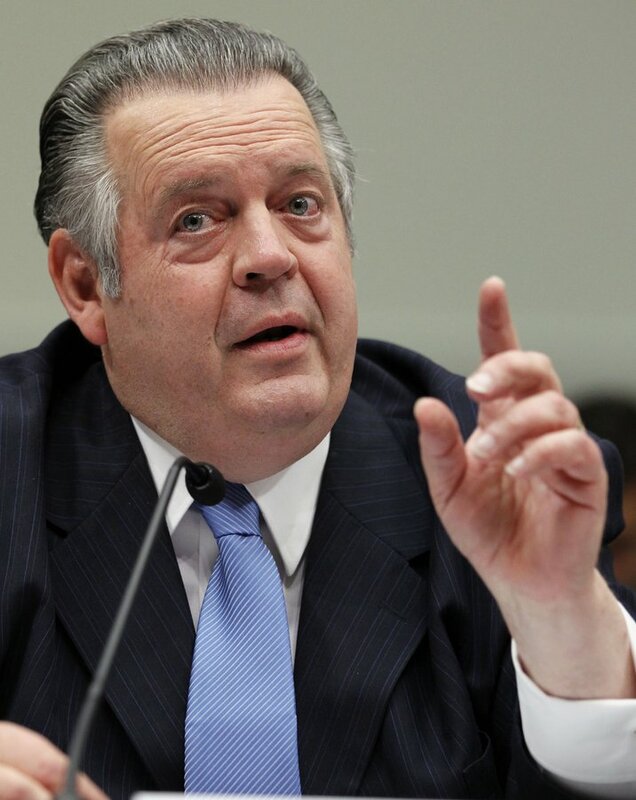 Some black pastors within the nation's largest Protestant denomination say Richard Land's comments are setting back an effort to broaden the faith's appeal beyond its traditional white, Southern base. Land, who is white, said in an interview he has no regrets about his remarks. He said he understands why the case has touched a nerve among black leaders, but he also defended the idea that people are justified in seeing young black men as threatening: A black man is "statistically more likely to do you harm than a white man." "Is it tragic that people react that way? Yes. Is it unfair? Yes? But it is understandable," he said. The comments come as the Southern Baptist Convention is trying hard to diversify its membership and distance itself from a past that includes support of slavery and segregation. Last year, the denomination for the first time elected a black pastor to its No. 2 position of first vice president, and the Rev. Fred Luter is expected to become the first black president of the Southern Baptist Convention at this year's annual meeting in June. When asked about the concern that Land's comments hurt the effort to attract non-white members, Luter said, "It doesn't help. That's for sure." While SBC presidents are elected for one-year terms, as the head of the SBC's Ethics and Religious Liberty Commission for 23 years, the outspoken Land is arguably the most powerful person in the denomination and certainly its most visible spokesman. "I think his (Land's) statements will reverse any gains from the rightful election of Fred Luter," said the Rev. Dwight McKissic, a black pastor at the SBC-affiliated Cornerstone Baptist Church is Arlington, Texas. McKissic said he plans to submit a resolution at the SBC's annual meeting asking the convention to repudiate Land's remarks. "If they don't, we're back to where we were 50 years ago," he said. Land counters that he has been working for racial reconciliation for his entire ministry. He was one of the chief architects of a 1995 resolution by the Southern Baptists apologizing for their role in supporting slavery and racism. Since that resolution, black membership in the SBC has tripled, Land said, going from about 350,000 in 1995 to about 1 million today. While he recognizes that his comments may hurt black membership within the SBC, he said he was not setting back the quest for racial reconciliation. "Part of racial reconciliation is being able to speak the truth in love without being called a racist and without having to bow down to the god of political correctness," he said. Land told The Associated Press that he has also criticized white religious leaders, including Pat Robertson and Jerry Falwell, when they behaved in ways he considered irresponsible. And he said he thinks McKissic's resolution will fail. Land made the comments about Sharpton, Jackson and Obama during his weekly radio show. His broader point was that there has been a rush to judgment, with many people convinced that shooter George Zimmerman is guilty even before he goes to trial. Zimmerman, a neighborhood watch volunteer, says he was defending himself when he fatally shot the 17-year-old Martin during a scuffle. Martin was unarmed as he walked from a convenience store, and the case has become a racial flashpoint with protesters speculating that Zimmerman singled out Martin because he was black. Zimmerman, who has a white father and a Hispanic mother, was charged with second-degree murder on Wednesday by a special prosecutor assigned to the case. The charges came after weeks of protests around the country. And since he's so fond of being able to speak the truth in love... It is with great love for you my poor deluded enemy that I say, the fact that you think killing a kid who is unarmed and minding his business is understandable and justifiable simply because said kid is Black, IS RACIST AND VERY UNCHRISTIANLIKE... I know I know it comes a surprise to you SBC members seeing as how your whole organization was founded on racism to begin with... you split from the Northern Baptist Convention in 1845 because you supported slavery and those Christians had the nerve to think that owning other humans was not Christian like... but I'm just speaking the truth in love..
His statement that a black man is "statistically more likely to do you harm than a white man." is not true. White people are statistically more likely to be harmed by white people. Black people are more likely to harm other Black people.